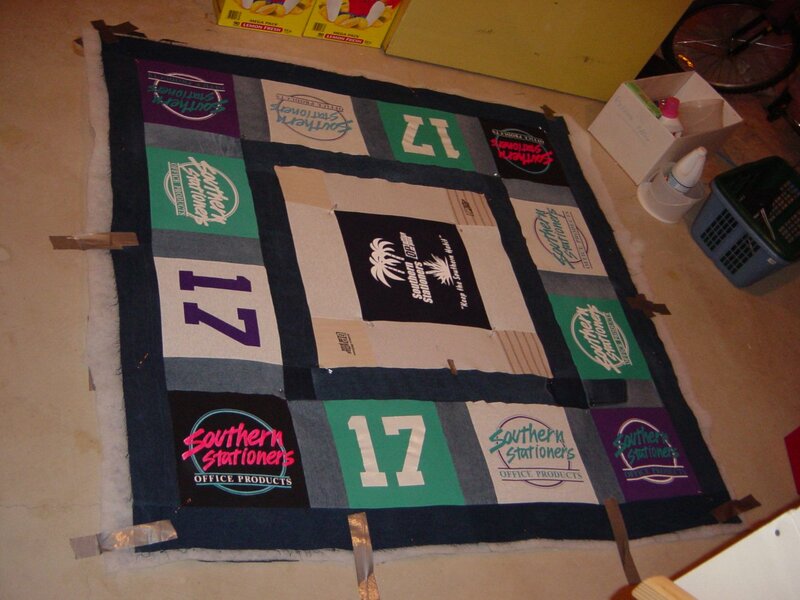 Reason: The boss of the place I was working wanted a quilt to commemorate the different shirts that the business had designed over the years. This is my first commissioned piece. Fabrics: I used my own denim stash and the shirts that she gave me. The dark blue corduroy that I used for the back was from the local warehouse. Lessons: This was early in my quilting life: PREWASH FABRICS! (It seems basic now). The darker denims discoloured some of the tshirt fabics. At the time, the walking foot was what I used for quilting. It helped ease the way across stretch fabrics (i use a darning foot now). Use thinner batting for a denim quilt. Thoughts: Remember to take a picture at the end!!! I kept track of my hours. It came out to 32!